So you’ve rewatched the Eminem scene in “The Interview” four times, and you’ve eaten approximately six pounds of steak, potatoes, and pie, and you’re starting to feel the holiday self-loathing you often end up feeling when you’re in your old family home. Mostly, you’re trying to make peace with the fact that you’ll have to stay here all weekend. We’d say that it’s time to start drinking, but you’ve already been drinking this entire time, so maybe slow down a bit. During moments like this, Netflix can seem like a Christmas miracle. The holiday weekend is a perfect time to catch up on your movie-watching. Keep a buzz going all weekend as you (slowly) sip Cabernet and stream films about wine like Somm, a documentary with the intensity of a sports movie. The 2012 film reveals how ridiculously hard it is to pass the Master Sommelier exam, an ordeal so emotionally draining that you need to be good-humored about it. (It helps to be surrounded by wine.) 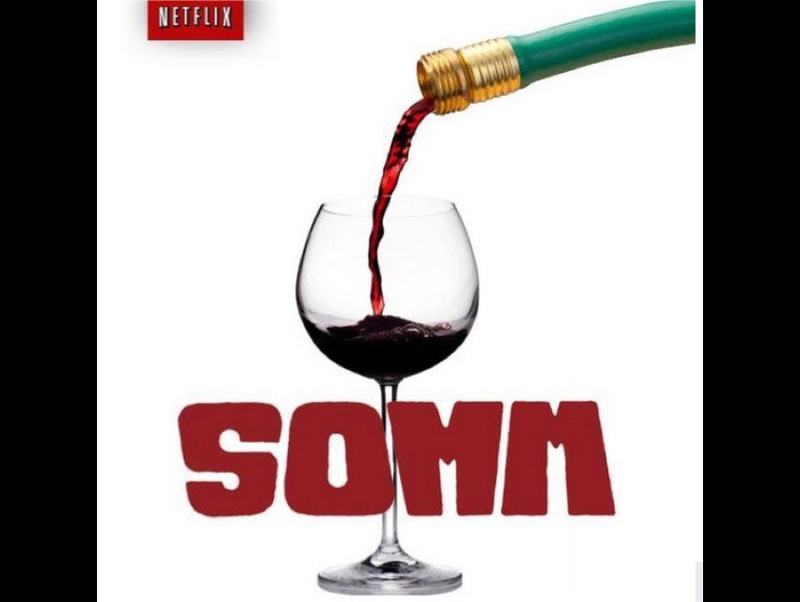 Somm has been a streaming sensation since it was added to Netflix’s library about a year ago, racking up more than 100,000 ratings in its first three months. Somm is often funny, but for an actual comedy, try Bottle Shock–a farce-like tale (with a strong cast led by Alan Rickman and Bill Pullman) about an important moment in wine history. The 2008 movie is loosely based on the story of how Napa’s Chateau Montelena Winery put California wines on the global stage: The vineyard’s 1973 Chardonnay won the white-wine category in the 1976 Judgement of Paris. Bonus: Start a drinking game where you take a swig every time you see an actor you haven’t thought about in years but still have warm feelings about: Dennis Farina, Bradley Whitford, Eliza Dushku, and Danny DeVito are all in this film. Chris Pine’s hair in the movie could also have you reaching for the bottle. Finally, Spinning Plates is a wonderful documentary that’s about food much more than it is about wine, but the 2013 film’s compelling story of chef Grant Achatz and Alinea (one of three restaurants profiled; the other two stories are less heartwarming, you’ve been warned) is relevant to anybody who cares about the eating and drinking industries. This is especially true heading into a year when Tock, a ticketing/variable pricing service for restaurants and bars started by Alinea’s Nick Kokonas, could greatly alter how customers interact with where they eat and drink. Trois Mec already uses Tock’s technology, and Thomas Keller’s The French Laundry has signed on as well. We understand if you want to have a drink, OpenTable executives.